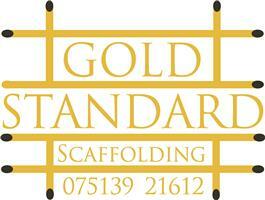 Gold Standard Scaffolding - Scaffolder based in Farnborough, Hampshire. Hello, we are Gold Standard Scaffolding and we are a partnership company with a 20 years combined experience in the trade. We cover all aspects of scaffolding from small towers to fix a window to big temporary roof structures or new build houses. We are not a massive company so this gives us more time to work alongside our customers and keep your projects running to time and this is why we get repeat business. With Public Liability Insurance up to ten million pounds cover and fully trained CISRS NVQ qualified staff, we are equipped for any scaffolding you are in need of. If you would like a free no obligation quote, we will be happy to assist you and give you free advice to make sure your work is carried out safely and to a cost you will be happy with. Hopefully Gold Standard is the company for you and we look forward to hearing from you!